Can you open the right door for someone near you? This is your opportunity to connect someone who may have a hidden talent for a trade with a rewarding career and a grateful industry! In the good old days, kids who had an aptitude for trades or technical subjects would discover this at school in woodwork, metalwork, tech drawing, and the like. They would then move into apprenticeships. While there’s a move to clear that path again, many trades today are crying out for new entrants. The problem is that many more youngsters have had a non-stop diet of academic study so they may have no idea they could have great hand skills and a promising career in a trade. It’s up to us to spot that talent and steer them in the right direction. One of the best directions to steer them is to the Southern Institute of Technology (SIT) in Invercargill. It offers a wide range of trades programmes that give graduates the skills and knowledge industry is looking for. The courses combine classroom learning with practical work and employer-based work experience. Students in the Trades and Technology Faculty work in a $5.5 million state-of-the-art facility that boasts four fully-equipped workshops. Leading-edge equipment includes a 3D printer and scanner, waterjet cutter, virtual welder, and CNC lathe. Construction students get hands-on experience building a three-bedroom transportable house — great work experience for a building apprenticeship. If you know someone who is good at drawing, problem solving, and structure, and has good results in design or mathematics or similar, a career in architectural technology or quantity surveying could be for them. Architectural technology students learn the principles of building design through drawing, computer-aided design, and modelling. They work in a design and construction team turning those concepts into reality, preparing a design brief, preliminary designs, and working drawings. Quantity surveying is a terrific life skill as well as a great career. 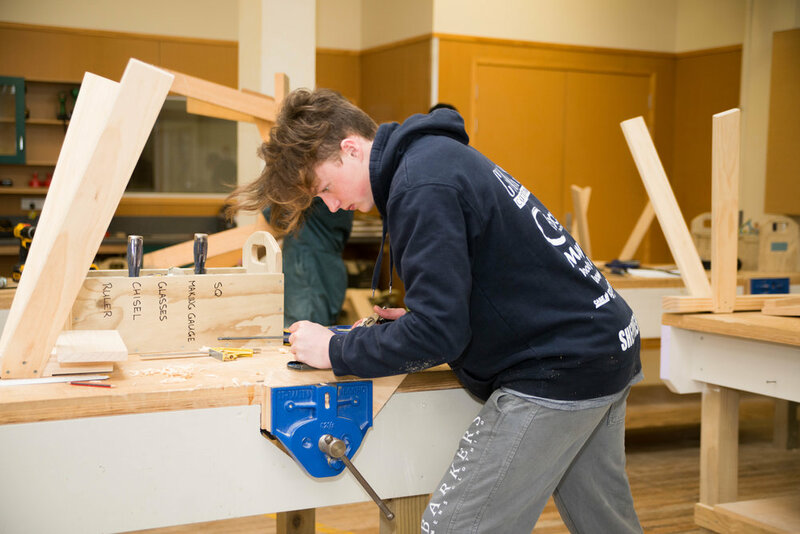 Students learn how to estimate materials, cost projects, communicate with clients, and collaborate with engineers, architects, and all the trades involved in a building project. They will be set to enter the workforce with experience in SIT’s design suite of 30 stations running AutoCAD, Inventor, ArchiCAD, as well as manual drawing stations. Choosing to study for a New Zealand Diploma in Civil or Mechanical Engineering is a path to many different careers in a high-demand sector. Civil engineering can involve working in the massive utilities, construction, materials and logistics industries, and mechanical engineers design, make and maintain the tools, engines, machines, and systems that keep modern society operating. Following on from these two diplomas, SIT is on track to run a new degree course, the Bachelor of Engineering Technology (subject to accreditation and approval by NZQA and Engineering NZ) with majors in both civil engineering and mechanical engineering. It is forecast to start in early 2019. Places are limited, so talk to your talented youngsters now and help them launch their futures with SIT!